Our graduates are acquainted in detail with machining by conventional and unconventional technologies. 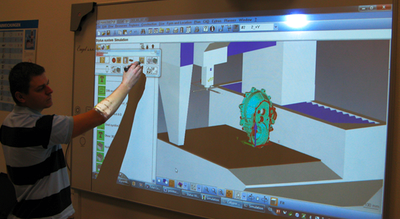 Education is supported by modern CAD/CAM software which enables us to convey experience in programming of CNC equipment using modern methods. Students can also gain knowledge of multiaxis milling and grinding of advanced materials. In the field of metrology they gain access to newest CMM technologies in quality control and due to close cooperation with leading industrial partners they are able to realize the functioning of modern systems of quality management and the role of individual instruments of quality in these systems. The knowledge gained will enable the graduates to treat in a comprehensive and systemic way technological and project issues in the development, optimization, rationalization and modernization of technological processes and systems also considering their organizing and control aspects. In the above fields the department also provides professional training courses for interested persons from industry.